The U.S. Supreme court has had a very direct impact on my entire professional career. However, until last month, I had never been in the court. So just how did all this come to be? It starts with my first job after graduate school with the New York State Department of Mental Hygiene. When I arrived at the Mental Health Research Unit in July, 1970, they assigned me to work on an NIMH research project that was a follow up on 967 patients who had been transferred from maximum-security correctional mental hospitals to regular-security civil mental hospitals as a result of the 1966 U.S. Supreme Court decision Baxstrom v. Herold. In that case, the court decided that Johnnie Baxstrom had been denied equal protection under the law when his maximum sentence had expired while he was in Dannemora State Hospital and he was denied a court hearing on his mental illness and dangerousness, both of which needed to be present to keep him in this maximum-security correctional mental hospital. It turned out that there were another 966 patients in the same situation. It was determined that it was impractical to give all these people a hearing, so they did mass transfers in the summer of 1966 from 2 maximum security correctional hospitals to 18 regular security civil hospitals across the state of New York. The research was to see how dangerous they had turned out to be in those hospitals and in the communities after many were subsequently released. The answers were about 20 percent had some type of assault in either the hospitals or the community suggesting, that psychiatrists were wrong 80 percent of the time. From these results I, with a number of colleagues, was able to write many articles in professional journals and a book, which launched my career in law and mental health. So how did I finally get to the U.S. Supreme Court last month? That story goes back to April 2000 in Miami. That was where the first National GAINS Conference sponsored by SAMHSA was taking place. During the first day of the conference, Judge Steve Leifman from Miami asked if Patty Griffin and I would come down to his chambers the next day at lunch to brief his court staff about jail diversion programs we were seeing around the country and how they worked. We did that and Steve took it from there. Over the next 15 years he was a catalyst for the development of multiple court based diversion programs and massive CIT trainings for Miami and many other municipalities in Miami-Dade County, leading national initiatives to develop jail diversion programs and engaging groups of judges and psychiatrists across the U.S. interested in alternatives to the criminal justice systems for persons with mental illnesses. In November 2015, Steve was selected by the National Center for State Courts to receive the 20th annual William Rehnquist award for judicial excellence. Steve graciously extended an invitation to me to attend the award ceremony that was in the U.S. Supreme Court. 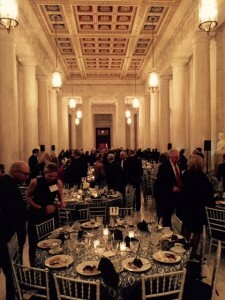 So, nearly 50 years, after their momentous Baxstrom decision that shaped my career trajectory, I got to see inside the court at an evening reception and dinner. What a place! The picture included here can barely do justice to the Grand Hall. 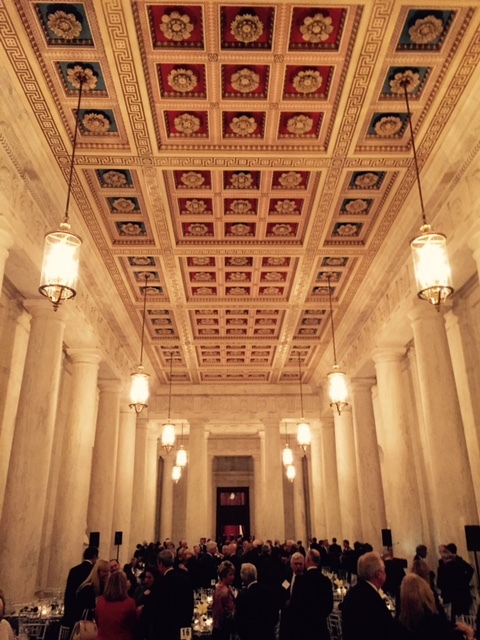 Chief Justice Roberts said that when it is built in 1935 it had more marble in it than any building in the world. Each column weighs 18 tons. able to do at the NYC Office of Mental Health and at Policy Research Associates made for a very powerful experience. Quite an honor and tribute to be invited. It’s also interesting how a seemingly innocent lunch in April, 2000 can lead to a Supreme Court honor and National Champion for jail diversion.